This entry was posted in Great Divide Mountain Bike Route and tagged Great Divide by Anna. Bookmark the permalink. If you have mobile data whilst you’re out there, the Park Tools website http://m.parktool.com/blog/repair-help/category has been my go-to spot for repair help for years. 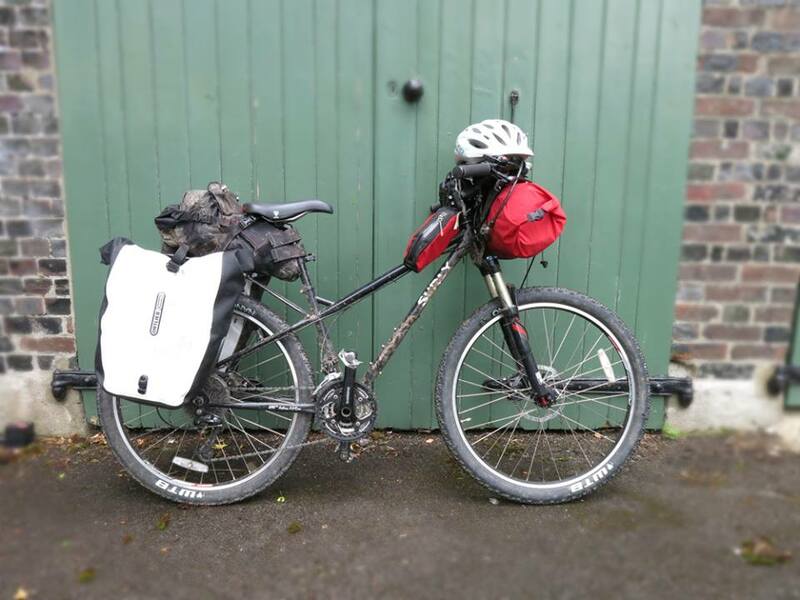 My friend Anna (of http://uninspiredramblings.com/2013/07/01/a-night-outside/ fame) is about to head off to ride teh Great Divide Mountain Bike Route – 2,700 miles along the Rocky Mountains from Banff, Canada, to Antelope Wells, New Mexico. She has very little mountain biking experience and, in her own words, little interest in bikes or gear… So this will be a learning experience in every sense. Her approach to trying to travel light is based on cheese rather than titanium, and she has just started posting on her new blog (www.confessionsofasmallgirl.com) about failed bike maintenance courses, bears, and the real risk of getting caught nipping out of the tent wearing only knickers. Giving up cheese for a few days and doing two bike mending courses sounds ok to me. The expensive shorts won’t make any difference btw but baby arse cream is widely available. Sounds like a great trip look forward to reading your blog. Believe me good shorts are a must for girls, so is the chamois cream! You will come back toned, my trip was only 550 miles and only two weeks and I could visibly see the difference. Good luck, hope you don’t meet the bears !! Thanks so much Hazel! Hope you enjoyed the Camino – I’ll have a read of your blog! I love the blog and wish you every success. I’ll be following you! Thanks Jell! Just had a look at your blog – Big Wales Thing sounds an amazing achievement!